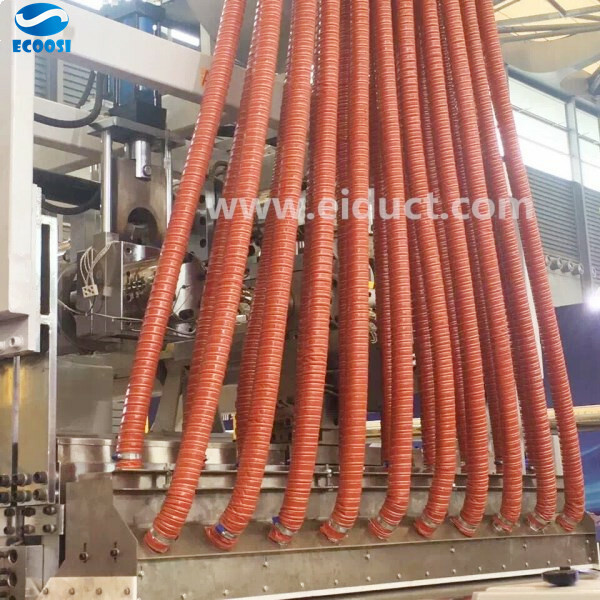 Ecoosi flexible ducting hose - High Temperature Silicone Ducting Hose is a high temperature ducting suited for a variety of applications such as hot air and fumes. The air ducting hose consists of double-ply silicone coated fiberglass reinforced with a spring steel wire helix & external filament fiberglass cord. The silicone hose allows the high temperature duct to be suited for high temp air handling applications that are ideal for plastic processing operations. 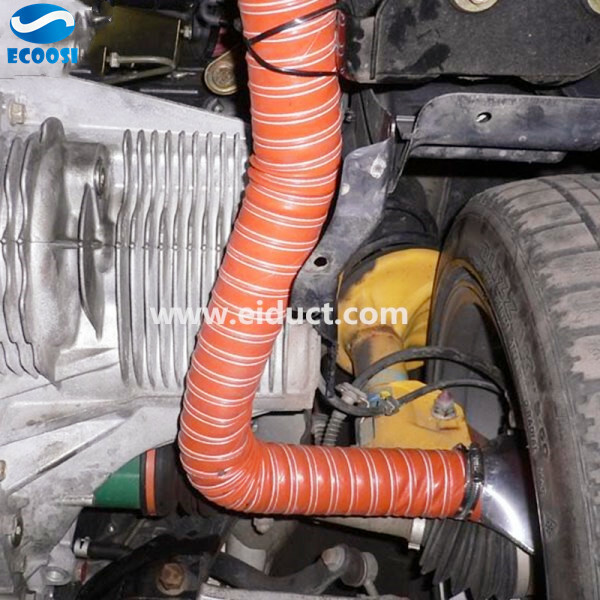 The Ecoosi's high temperature Silicone Ducting hose is also a flexible air duct hose that has a narrow pitch for flexible venting. The silicone duct hose allows the hose to offer a tight bending radius that is non-kinking while maintaining a smooth airflow. 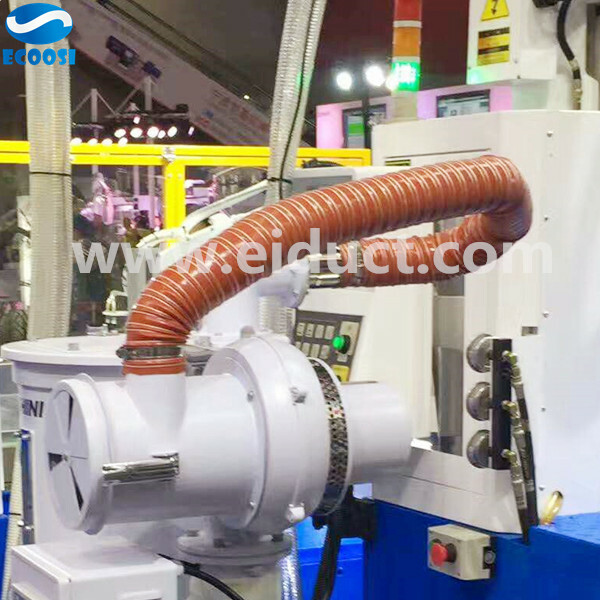 While the flexible silicone air hose allows for flexible venting, it is not recommended for continuous flexing. 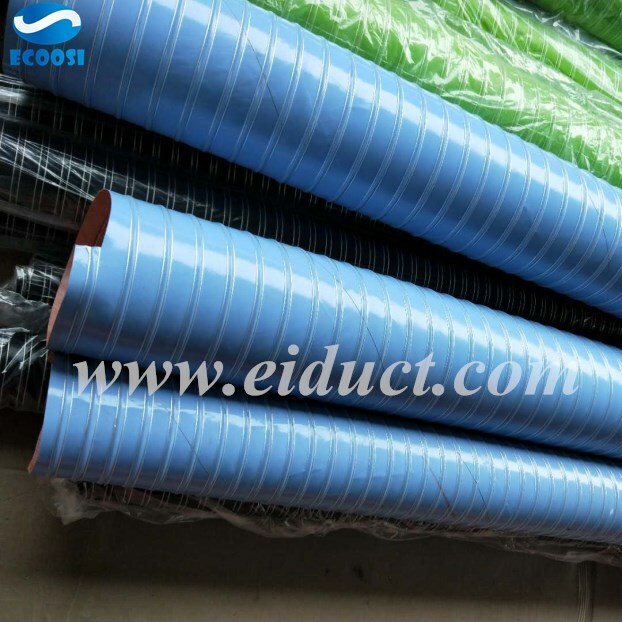 Ecoosi's high temperature silicone duct hose is made for both high and low temperature ranges. 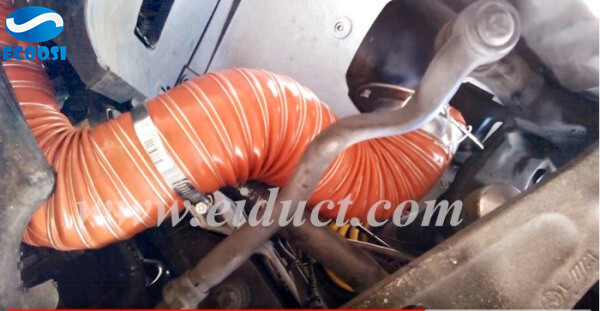 The silicone air duct hose can operate in temperature lows down to -70 degrees Celsius and can withstand highs up to 310 degrees Celsius. 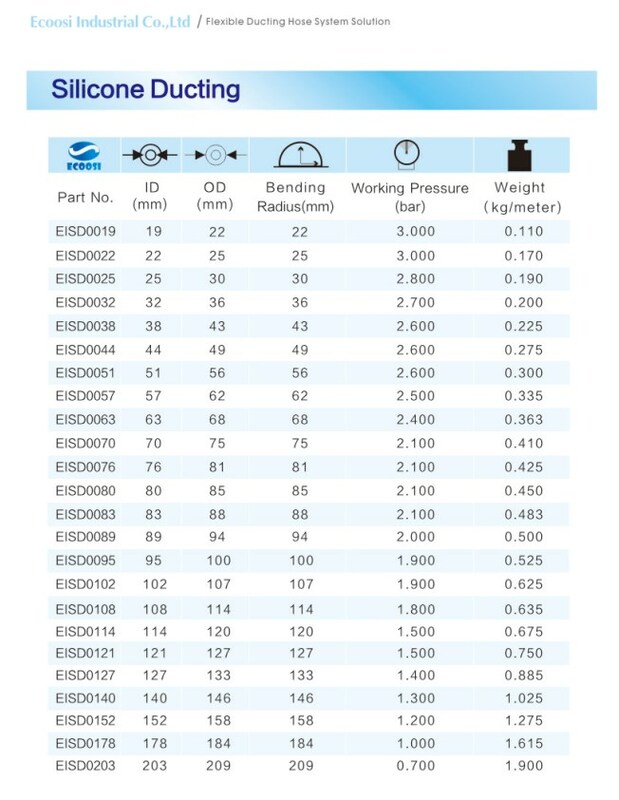 In addition, this silicone air ducting hose is also resistant to many oils, solvents, ozone, water, fungus. 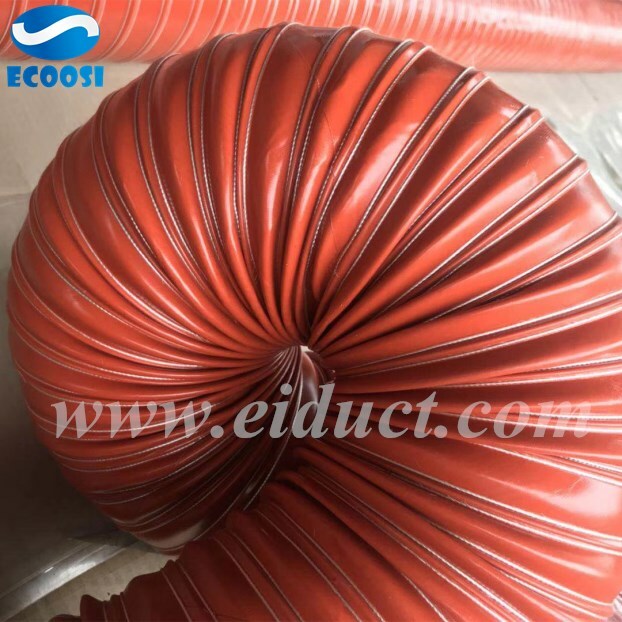 Ecoosi's high temperature silicone duct hose comes in a standard length of 4 meters and is red color. This silicone air duct hose is available in a wide range of internal diameter sizes from 19 mm to 305 mm. 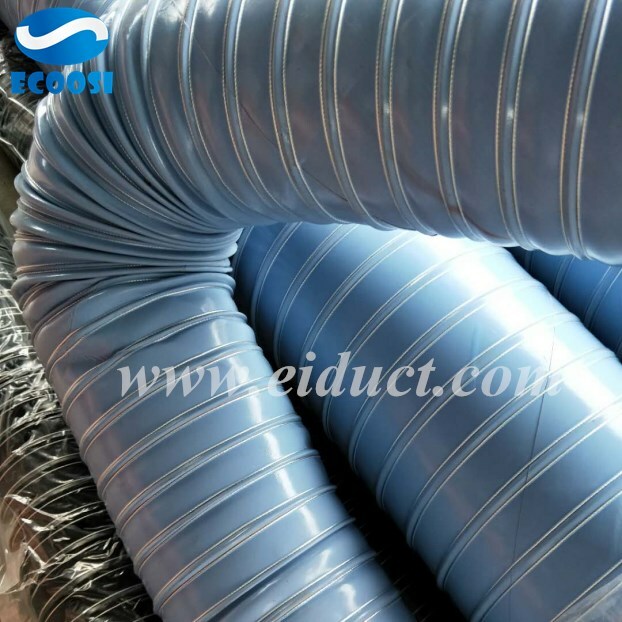 The silicone air ducting hose applications in various applications include aircraft, automotive, brake ducting, brick kilns, rocket support duct, tractor pull exhaust, transmission cooling and vehicle exhaust systems. 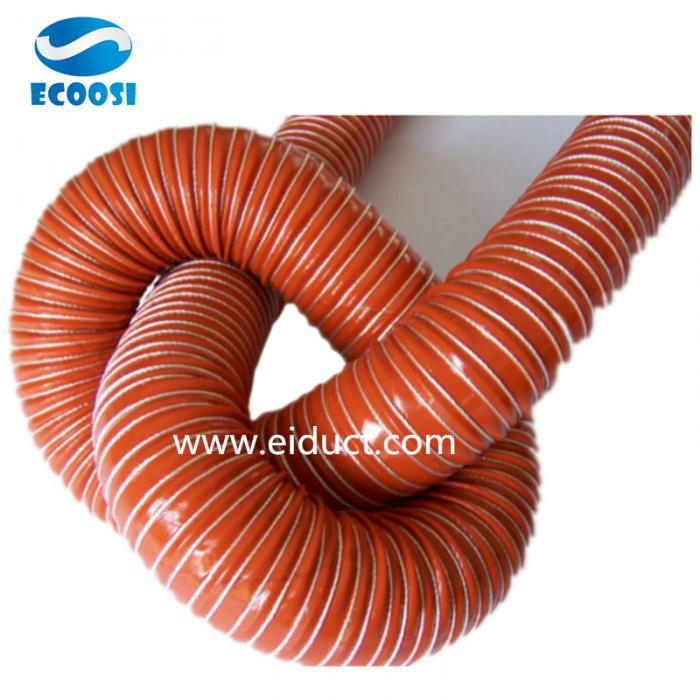 Ecoosi Industrial Co., Ltd. is China’s premier manufacturer for all of your flexible ducting and industrial hose needs. As a trusted manufacturer of flexible ducting hose products since 2006, we specialize in durable, affordable ducting hoses for air ventilation, solid waste, material handling, industrial exhaust, high temperature ventilation, and abrasive transfer applications.